These directories can help you identify potential Open Access journals in your field. Inclusion in these directories, however, does not guarantee that the journal is of high quality. Be sure to keep in mind the guidelines on how to recognize trusted Open Access publishers when evaluating journals that you have found. For more help in identifying OA journals, see the page "Finding OA journals in which to publish"
You can browse the DOAJ's different subject areas by navigating the subject section on the side bar. 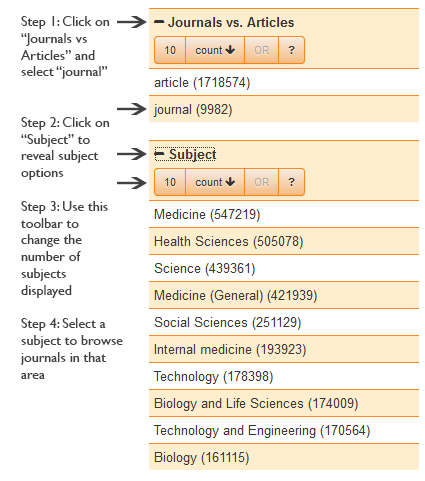 Ulrich's is a directory of periodicals that allows for a user to limit their search to Open Access journals by subject. Connect to Ulrich's through the library catalogue. Go to the 'Advanced Search' option from the home page. Now you are able to search for your subject area. 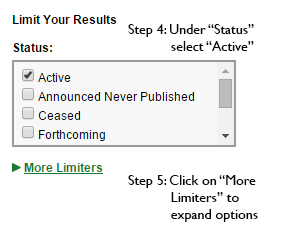 Select "Active" and "Open Access" for your search. Add any other requirements you wish, such as language. Enter your search and a listing of journals will appear. 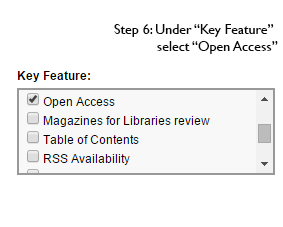 The open lock icon indicates that a journal is Open Access. The referee’s jersey icon indicates that a journal is peer reviewed.